If you know you want to have children, but now isn’t the right time, you can freeze your eggs to ensure you have an option for the future. 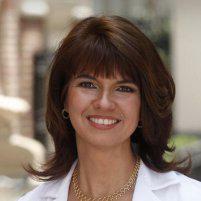 Maureen Moomjy, MD, FACOG, offers fertility counseling and treatments including egg freezing at her practice in the Upper East Side of New York City, near Midtown. Dr. Moomjy has over 20 years of experience as a fertility expert and partners with the New York University Langone Fertility Center for expert egg retrieval and long term storage. If you want to know more about freezing your eggs, call Dr. Moomjy to make an appointment today to find out if egg freezing is right for you. Egg freezing — clinically known as mature oocyte cryopreservation — is a fertility treatment to preserve your healthy egg cells for future use. Dr. Moomjy provides testing and counseling to determine if you’re a good candidate for egg freezing. She also offers private monitoring and medical preparation for the egg freezing process. Am I a good candidate for egg freezing? There are many reasons why you might want to freeze your eggs. Perhaps you know you want children, but don’t have a partner at the moment or would prefer to wait until you’re more established. Perhaps you have a medical condition that requires time to resolve and you have to delay childbearing. Some women choose to freeze their eggs before having treatment for cancer or another illness that could inhibit their future fertility. Egg freezing is also an option if you’re having in vitro fertilization treatments. After your eggs are harvested, you can choose to freeze a portion of extra eggs before the fertilization step of IVF. Whatever your reason for exploring egg freezing treatments, Dr. Moomjy offers attentive, patient-focused care to help you protect and preserve your fertility. Dr. Moomjy begins your treatment by testing your ovarian reserve to determine the quantity and quality of your egg cells. She may also measure the follicle-stimulating hormone (FSH) and Estradiol in your blood early in your menstrual cycle to better understand your own natural ovarian function to predict your response to the ovary-stimulating medicine. Additionally, an AMH blood level can indicate your natural ovarian reserve and permit the selection of the best medication protocol for you. AMH is a hormone secreted by the immature egg cells. The AMH level can be compared to your age group to determine the ovarian reserve. Dr. Moomjy works hard to customize your treatment for the best yield of mature eggs in the safest manner possible. Then, she prescribes medication to stimulate your ovaries into producing several eggs simultaneously. Ovarian stimulation with monitoring is an approximately two-week process to prepare for the egg retrieval day. You will have several early morning appointments while you take the drugs to stimulate your ovaries so Dr. Moomjy can monitor your ovaries and egg follicle development with blood work and ultrasound. You will have specific private appointments and your work and personal needs will be accommodated. When your body has produced enough follicles (eggs), Dr. Moomjy‘s expert fertility and embryology colleagues at the New York University Langone Fertility Center perform the egg retrieval procedure and immediate vitrification (freezing) of your mature eggs. You have mild sedation during the process to help obtain a light sleep during the procedure. While you are asleep, the retrieval procedure entails the use of a vaginal ultrasound that has a needle guide system attached to it. Each follicle is visualized with the ultrasound, and the needle guide system is used to puncture and drain the follicular fluid that contains the egg(s). The embryologist immediately identifies each egg under the microscope and then prepares the eggs for vitrification (freezing). After retrieval, which usually takes about 20 minutes, the patient is observed in the recovery room for 1-2 hours and then permitted to go home to rest that day. After your eggs are retrieved, your embryologist examines them to confirm maturity. The mature eggs are then cooled to subzero temperatures in liquid nitrogen tanks to preserve them for future use. Dr. Moomjy will assist you by providing customized advice on how many eggs you should aim for in the freezing process based on your age. Call Dr. Moomjy to book an appointment to talk about egg freezing and if it’s right for you.